Q. Can we get a stapler and hole punch for Butts Wynd PC classroom? 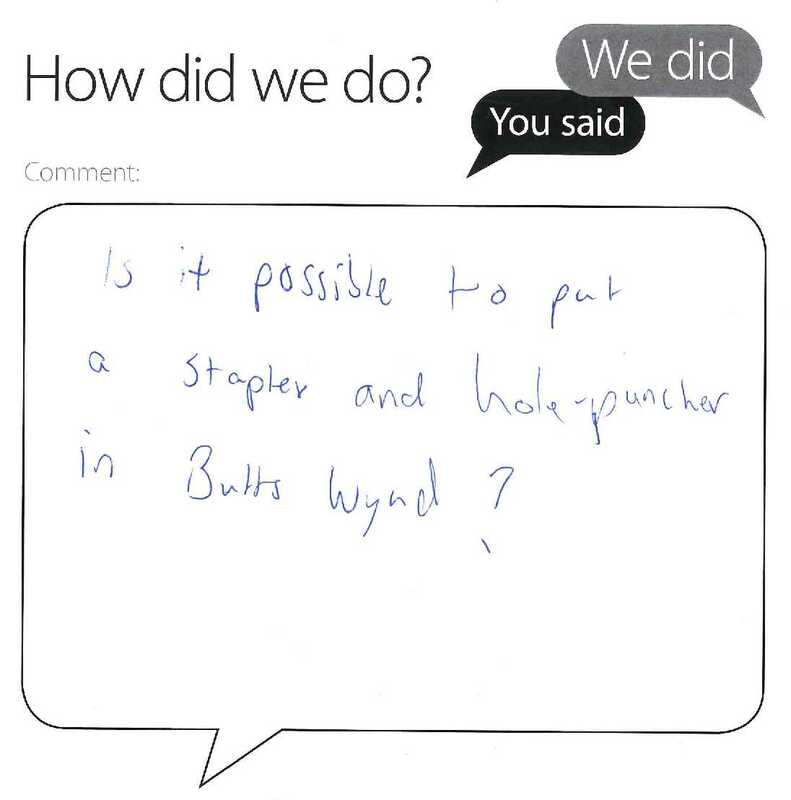 Thanks for your Library comments card about facilities in the Butts Wynd PC classroom. I’m afraid the Library doesn’t have any responsibility for that space but you are of course welcome to make use of the stapler and hole punch facilities next door in the Main Library.